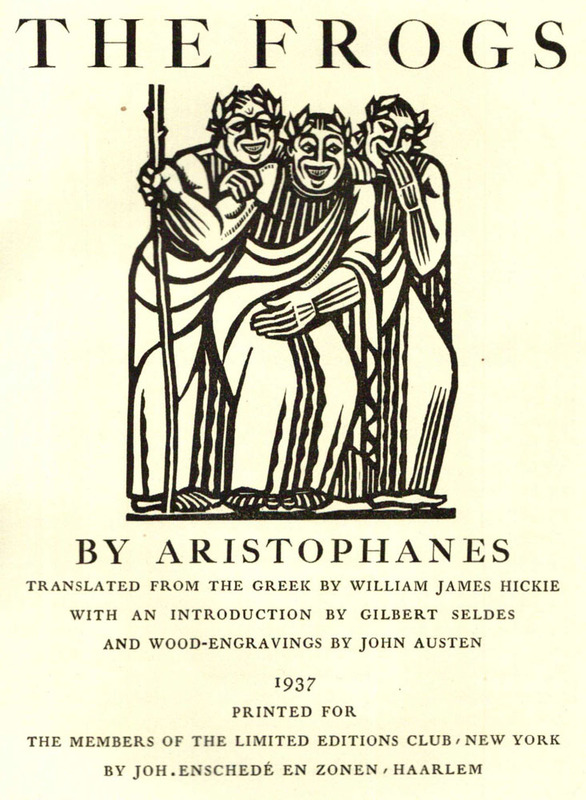 The plays of Aristophanes are the only surviving complete examples of Old Greek Comedy, all written between 427 and 385 B.C. His contemporaries thought highly of his works, and awarded him many prizes for his plays. His success was attributed to his fresh and charming meters and lyrics. As much as Aristophanes was intellectual and imaginative and could design comic situations with ease and style, he often lacked humor and emotion. A political conservative, who often felt himself "in opposition" to the government, Aristophanes held a strong mistrust for social, religious, literary and musical innovations. Aristophanes' plays have remained important throughout the years as the work of a master playwright and have achieved notoriety because they are the only surviving examples of Old Greek Comedy. The Birds is probably crowded with topical allusions that had Athenian audiences of 414 B.C. in stitches. It is necessary to say "probably" because if a topical allusion of 414 B.C. fails to topically-allude in 1959 A.D., how can one tell it was meant to topically-allude in 414 B.C.? The answer is that one can't. We can legitimately assume that there were numerous topical allusions because some allusions are definitely identifiable, and it is therefore wholly logical to suppose that there were plenty more. As Dudley Fitts notes in his brilliant introduction to our edition of The Birds: "Topical humor quickly congeals into footnotes, and nothing is less funny than a joke that needs scholarly explanation... It is more remarkable then, that Aristophanes is still so triumphantly funny. He is more topical than Shakespeare, his poetry is full of local allusions, many of them impenetrable; but the humor flashes and burns even in the most desperate obscurities, and though we may often be confused, we are not bored. It is a victory of poetry over matter."